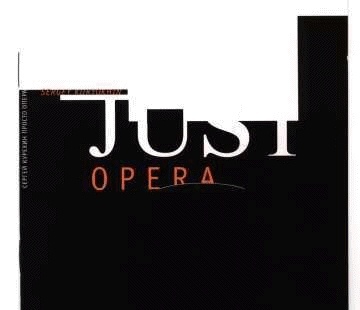 Just Opera - by S.Kuryokhin Music for films must be bad. Same thing with the theatre. As good song consist of bad words and bad music, there's no possibility for good music in theatre and cinema. No chance for the composer in such a synthetic genre if he tries to play the first violin. There's necessity for non-music or under-music. Music in the theatre and cinema is only a help for crippled visuality. The short bridges - pieces, soundscapes, and sound illustrations or emotional background - that's the short list if what cinematographic and theatrical music is to be. Kuryokhin understood well and almost played these rules (he was a very good cinema composer), but he felt pity to his sound cinema monsters and wanted to give them another chance. He tried to make these pieces a music - music not for viewing but for listening. That's why he always returned to his music after it was used in theatre or in cinema - he remixed and edited it, built another musical dramaturgy and prepared it for release as LP or CD. JUST OPERA is the last this kind Kuryokin's project. He didn't finish it, he only created conception and dramaturgy of this record. Everything else was made by Vyacheslav Guyvoronski, musician, who closely worked with Sergey for a long time. OPERA is a collection of Kuryokhin's works for theatre and cinema. Good films and performances, but we didn't mention what - if you read this text from the beginning you must understand why. For a pity we didn't mention all the musicians. Recordings were made in different time and places with many different musicians - from persons close to Sergey to accidental session men - and their names were lost... Being afraid to convey anybody was the reason for us to 'forget' everybody. One can, by the way, understand that in spite of more or less work of different performers all the music on this CD was created by one person - Sergey Kuryokhin. We all (and musicians too) feel a great respect to him and dedicate this work to his memory. Sergey Kuryokhin is one of Russia's most creative musicians and composers, died in 1996 in very young age. He will not be forgotten. Sergey Kuryokhin His 'Popular Mechanics' showed to the west that there is a very special russian performance art, multistylistic and adventureous. Concerts, festivals ("Kuryokhin Memorial Festival" in New York, January 97) and tours ("Without Kuryokhin-Tour" by Keshavan Maslak and Otomo Yomishide f.e.) were held to keep his memory alive. There have been memorial concerts in St. Petersburg, Moscow and in other cities. I had the chance to witness one of Popular Mekhanika's performance, at the MIMI-Festival in Southern France 7 or 8 years ago, and it really was kind of a shock, because this mixture of styles and elements war really very unusual in the West. I am not competent enough to honor him, but I want to introduce his last works, released by Nick Dmitriev's label LongArms.